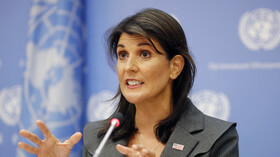 Get news on Nikki Haley, an American politician and member of the Republican Party. Haley is a former governor of South Carolina and used to be a member of the South Carolina House of Representatives. Follow the news and information on her background and career. Haley currently serves as US ambassador to the United Nations (UN). Don't miss the news and updates on her activities and speeches in the organization, as well breaking news and reports from the UN in general. 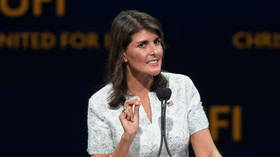 Nikki Haley’s next step after UN Ambassador could be with Boeing, after the aerospace and defense giant announced on Tuesday that it has nominated her to join its board of directors. Nikki Haley has begun her political second act with the launch of Stand for America, an anodyne-sounding policy group she formed to oppose socialism and term limits at home, and Russia, China and Iran abroad. Washington's arch-bully, soon-to-be-ex UN ambassador Nikki Haley has demanded the Saudi crown prince stop acting so "thuggish" – perhaps because she can't stand competition, having asserted herself around the hood many times. 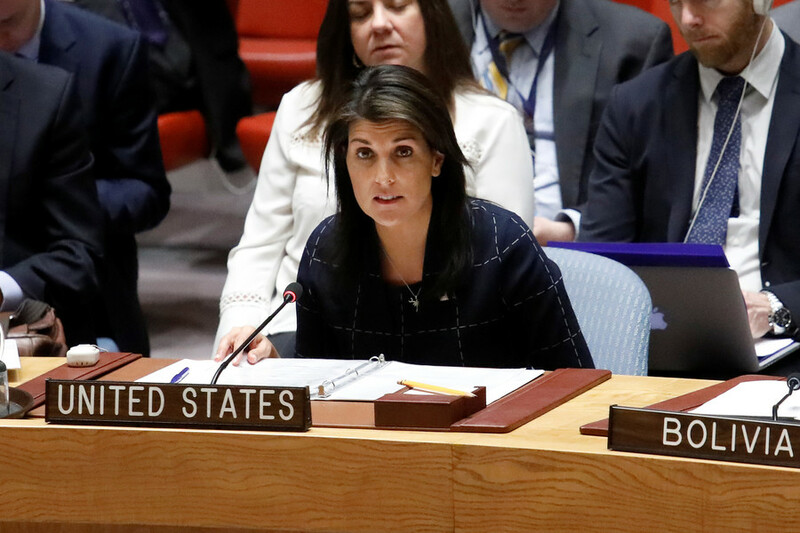 US ambassador to the UN Nikki Haley has touted the much-hyped but yet unreleased US peace plan for the Middle East as a boon for Palestine – despite that they have already rejected the plan, calling it the "slap of the century." The US-propelled draft resolution targeting Palestinian Hamas failed to pass a two-thirds majority threshold at the UN General Assembly vote in what is seen is a major upset for outgoing US envoy to the UN Nikki Haley.